A 71 year-old disabled veteran of the U.S. military shot and injured an invader who broke into his home last month in Texas. Early September 13, the veteran heard a knock at his door and opened it. He then heard noises coming from his laundry room. The veteran took his gun to investigate what was happening, Mission Police, TX Lt. Jody Tittle told KRGV. The veteran saw the invader in his laundry room and ordered the man not to move. The man attempted to move anyways but was shot. The invader was hit, but managed to escape the home anyways. Shortly afterwards, the police were called by a woman who said that her son had been shot. He was taken to a nearby hospital where a bullet was removed from his right leg. 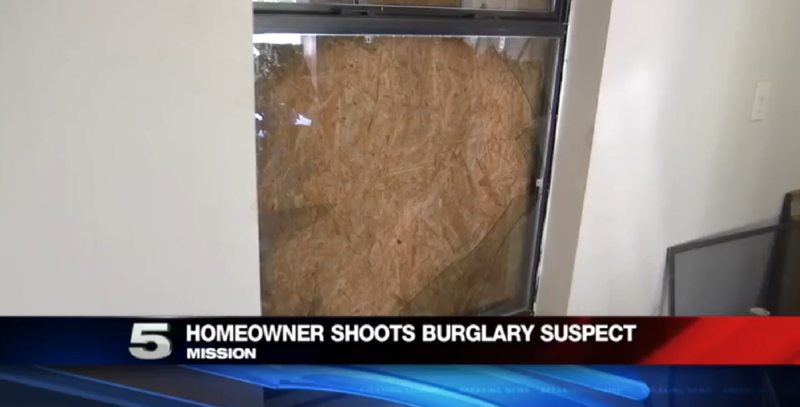 The homeowner will not face any charges, but the suspect was charged with burglary.